Over 1000 people will perform in our largest procession to date. 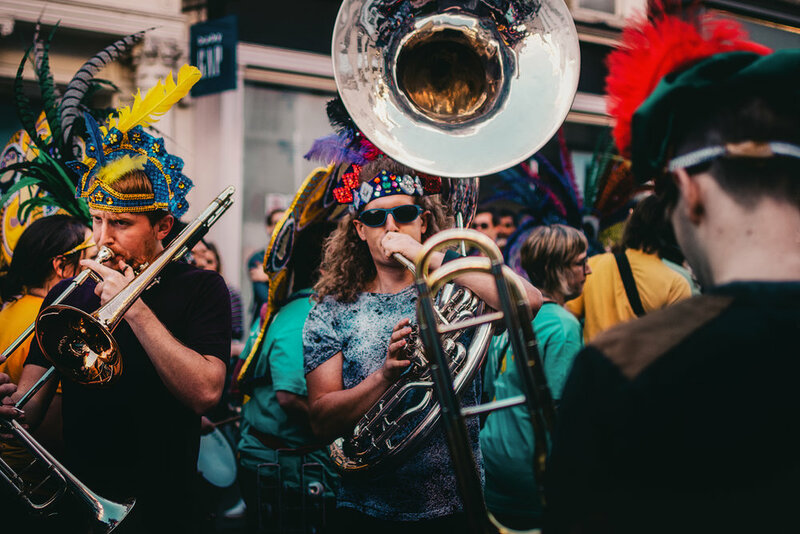 Hundreds of professional carnival performers will join forces with local schools, clubs and community groups to create a huge collaborative performance that takes over the entire city centre! Over a year of preparation goes into creating this colourful spectacle which will see a new collection of costumes unveiled and a special finale around Laura Fountain featuring hundreds of drummers, horn players and dancers. Apply to be in the procession! e.g. Dance, Drumming, Walking etc. Each group must provide two volunteers to walk along side them during the procession. Please confirm you will provide two people. Will you have a motorised vehicle to support your act? All participants must register at the White Registration Marquee on arrival at the Bath Rec Ground. From here you can collect your costume (if applicable) and receive further information regarding how to line up for the procession. Please note the Bath Rec Ground is open from 10:00 with entertainment, food and drink, so participants are encouraged to arrive early. We’re opening up our enormous collection of costumes to the public! Get dressed up and join the parade - perfect for hen parties and stag do’s, team building and surprise birthdays. The funds raised from the hire costs will help us maintain our stock, store them safely throughout the year and organise more community workshops so we can keep growing our collection. 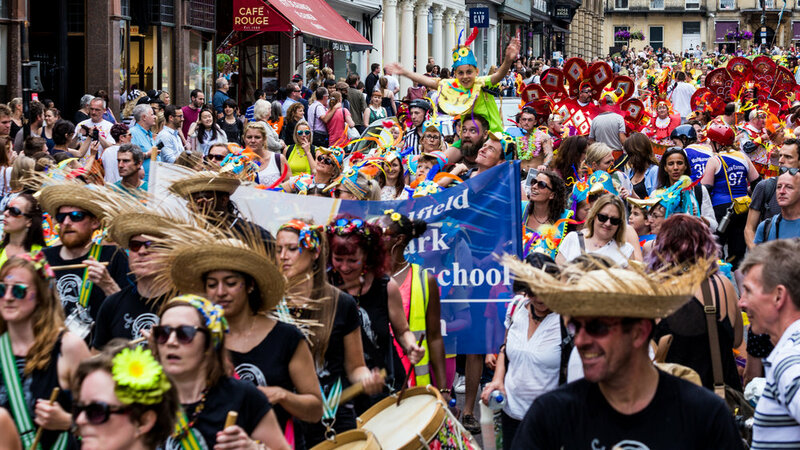 Keep carnival alive in Bath. No donation too small.